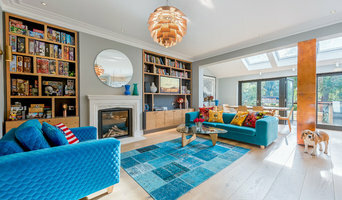 Emma Merry is an Interior Designer and Stylist based in Surrey - well known for her beautiful, fresh designs and her ability to transform any room to a contemporary living space that reflects your personality. Passionate about discovering new trends and innovations, Emma lives and breathes interiors in every aspect of her life. Emma understands the intricacies of interior design and styling, and how to bring personality into every space. She aims to create unique interiors that provide her clients with spaces that reflect their individual style. 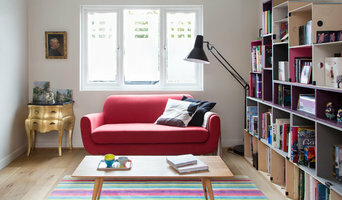 Her inspired approach involves balancing colour and scale, resulting in clean and fresh interiors with a touch of fun. Our team will sit down with you to guide you through guide you through the process from moodboard to reality. Product sourcing is a key element in Emma’s designs and she tirelessly hunts the best suppliers for furniture, lighting, fabrics, wall coverings, tiles, storage, carpets and soft furnishings Visit our website and contact us today! NW interior design provides a high quality personal design service specialising in residential renovation and refurbishment projects. Based near Tunbridge Wells, we design inspiring traditional and contemporary spaces that look wonderful and work perfectly. Laurane re-trained in Interior design after leaving her City career in banking behind to fulfill her passion for renovation and interiors. After completing her training, Laurane gained a wealth of experience and knowledge working for a small independent kitchen and fitted furniture company. This provided a foundation for providing vital experience for the interior services needed when restoring/renovating a property. We have a wealth of experience and knowledge to guide our clients successfully and cost effectively through their project whether it is a large renovation or re-design of a single room. We work with clients from concept to completion to create exceptional design solutions that are both inspirational and practical. 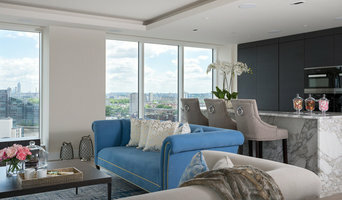 Surrey based residential interior design studio. Best of Houzz Design 2016 -2019. BIID Registered Interior Designer®. The studios desirable reputation is underpinned by multiple awards, national press features including ‘one to watch status’ by ROCO Magazine. Quality and attention to detail are paramount and we maintain close relationships with respected suppliers and highly skilled craftsmen. Our passion for design extends from full renovations through to smaller projects. Established in 2005 from a lifelong passion for interiors & love of architecture, LT Designs is a comprehensive, professional & friendly interior design company that is dedicated to creating & delivering exceptional, innovative & bespoke interiors for discerning clients. Every project is specially tailored to suit each of our client’s design requirements. We believe that it is imperative to understand and interpret our clients’ aesthetic and lifestyle needs so that our design not only reflects their personality & taste, but also encompasses their way of life & future aspirations. Each project is designed with close attention to detail with plans, elevations, technical drawings, 3d Visualisations & sample boards as needed. Our meticulous attention to detail and infinite care for each of our client’s projects result in skillfully executed and beautifully finished interiors from conception to completion. We truly believe that exceptional quality combined with functional & innovative home design will enhance your life and our main objective is to deliver it in every project we embark on, no matter the size. Get in touch with us today for your free initial consultation. We are design studio inventing Interiors, Custom Furniture as well as Art Objects. WE DEMONSTRATE ATTENTION TO THE SMALLEST DETAIL, BUT NEVER LOOSE SIGHT OF THE BIGGER PICTURE. We work closely with our clients while building long term relationships along the way. Our team is diverse as our design services, who is well-travelled and multilingual with wide collective experience in industrial design to interior, architecture & landscape design, graphic design & creative direction, theatrical stage & set design, and visual communication. OUR PHILOSOPHY: The studio works holistically in a collaborative and explorative process between our design philosophy & client’s agendas. With our passion for discovering varied uses of materials, bridging the cultures, colours & crafts that makes up every location special, we aim to deliver complete user & design experiences. We encourage open conversation while forging close client relationships; supporting them on a journey from ‘good to great’ and helping them to translate their ideas into engaging interiors. WHETHER IT'S A HOME A CHAIR OR A BRAND, IT'S ALWAYS THE SAME PHILOSOPHY: TO THINK ABOUT WHAT THE USER WILL GAIN The studio’s creativity stems from dialogue, honesty and a commitment to creating ties that go deeper than individual projects. 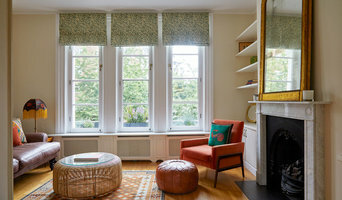 Curtains Plus Interiors offer a range of design services from bespoke curtains to interior styling working with private clients, developers and retailers. With over 25 years experience in the industry we have formed a fantastic team of suppliers and highly skilled craftsmen. We are passionate about accommodating your needs and ensuring a project is completed to highest standards and on time We would love to discuss your project with you no matter how small or large. 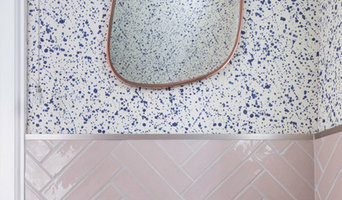 Owl Design is an interior design company established in early 2012 by Simone Gordon and Sophie van Winden. We work primarily in the hospitality and residential sectors, our client’s ranging from private homeowner’s to high street brands. We are a close-knit team of interior designers who are able to translate clients' ideas into successful projects, which work both aesthetically and practically. Our way of working is organic and eclectic with an injection of fun, using texture and colour to make spaces which invite and inspire. Humor is an important factor in our interiors, along with a bit of the unexpected. We deliver creative, yet accessible designs, by working collaboratively with each client so that every inch of a space is permeated with their personality. We deliver timeless, trend-transforming interiors with a harmonious balance between function and aesthetics and a distinctive personality. We offer a range of interior design services, from early concept design, Flying Start, up to a full interior design package, Whole Hog. We also have a styling side to our business, past clients including Hard Rock Calling, T in the Park, Wireless, Grand Designs Live, Ideal Home show, Blanche in the Brambles and Sofa.com. For more information please don't hesitate to contact us. I believe good design is for everyone, no matter how small or big your house and your budget are. A well-designed home makes you happy every time you walk through that front door. A home interior to me is all about people; it is about the way you feel, the way you interact. It is about family and friends; it is the background to your life. My career started in the corporate world but I have always been passionate about renovating properties, and it was only a matter of time before I realised that I wanted to share my passion and experience with other people and help them turn their homes into more beautiful, comfortable and enjoyable places. Soon after that, with professional interior design qualifications from the National Design Academy and a huge ambition to make a difference, I set up Elena Romanova Interiors. Designing your ideal home interior is always a journey but I can make it an enjoyable, achievable one, and at the end of it you will have a home you will love coming back to. When I design your space I want it to fit in with your lifestyle and make you happy. My corporate background has given me skills to ensure I deliver it on time and within your budget - and with me you always know where you are spending your money, how much, and why.